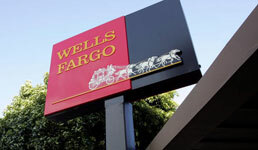 Wells Fargo has started preliminary settlement talks with the U.S. Department of Justice and the SEC, which have been investigating sales practices in the company’s wealth management units, according to news reports. The company announced the talks in its annual regulatory filing, which was first reported by Reuters. The discussions are related to previously disclosed investigations of its sales practices, according to the newswire. But they appear only to include the company’s retail sales practices — specifically “certain retail sales practices of the Company that were the subject of settlements with the [Consumer Financial Protection Bureau], the [Office of the Comptroller of the Currency], and the Office of the Los Angeles City Attorney announced by the Company on September 8, 2016,” the company says in the filing that was submitted Wednesday. The $185 million settlement was related to the revelations that thousands of the company’s banking employees opened millions of bogus accounts. But the DOJ and the SEC have also been investigating the sales practices at Wells Fargo’s wealth management division specifically, since at least March, the Wall Street Journal wrote at the time citing people familiar with the matter. Wells Fargo’s preliminary talks do not appear to cover the wealth management unit, although the company acknowledges that at least some parts of the business may have overcharged clients. What’s more, Wells Fargo appears to be optimistic about its own investigation of sales practices in the wealth management business, which was prompted by the DOJ and the SEC in late 2017. However, the company acknowledges that regulators are still investigating those practices.